Katie Reisz focuses her practice on litigation involving business disputes, education law, and general insurance defense matters. 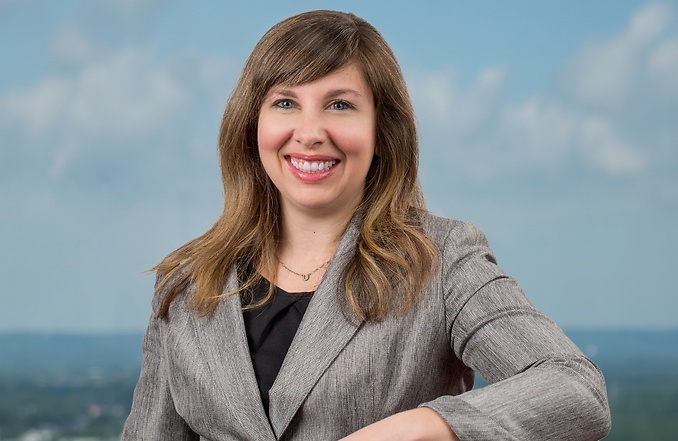 Katie has particular experience representing clients involved in breaches of fiduciary duties, breaches of contract, employment matters, claims against attorneys, claims against school boards, and equine law matters. She has represented clients at all levels of litigation and appeals in both state and federal courts. Prior to joining Middleton Reutlinger, Katie worked as an associate in the Louisville office of a litigation-focused law firm successfully defending hospitals against a variety of claims including corporate negligence and medical malpractice. She also served a two year clerkship with Chief Judge Joseph H. McKinley, Jr. of the Western District of Kentucky. Successfully argued to the Kentucky Court of Appeals and Kentucky Supreme Court in favor of affirming the trial court’s award of a multi-million dollar judgment and the subsequent denial to set aside the judgment. Assisted in obtaining summary judgment for a Kentucky school district, dismissing claims by the estate of a student which alleged negligent supervision. Successfully awarded attorneys’ fees and costs for challenging the removal of a trustee from the Kentucky Retirement System. This resulted in a judgment of over $100,000. Successfully negotiated a significant settlement with a bank that negligently handled a garnishment.